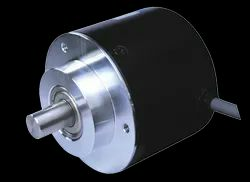 Pioneers in the industry, we offer shaft encoders, incremental encoder, encoder shaft dimensional drawing - light duty, encoder shaft dimensional drawing and encoder shaft drawing from India. 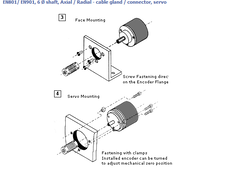 Riding on unfathomable volumes of industrial expertise, we are actively committed towards providing Shaft Encoders. The offered shaft encoder is manufactured using high quality of material & modern techniques in fulfillment with the standards of market. This shaft encoder is reliable, strong built and affordable automotive solutions. 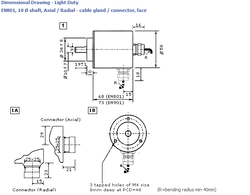 Offered shaft encoder measure the transduction angle speed and distance. 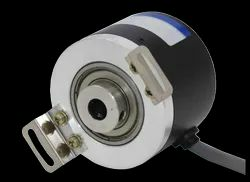 We are a famed enterprise that is occupied in manufacturing and supplying Incremental Encoder. In this output is available in the form of pulses, incremental encoder step by step in counter or processor. The offered incremental encoder make use of pulses to track motion of the shaft or axle, hence widely used in assembly machines, robotics. 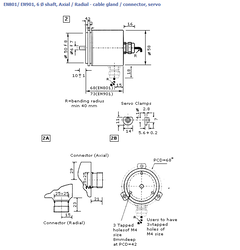 Customers can avail this incremental encoder at industry leading rates in a confine time. To cater to the demands of our customers’ requirements, we are highly engrossed in providing finest quality Encoder Shaft Dimensional Drawing - Light Duty. This product converts machinery positional information into corresponding pulse numbers or digital data by photoelectric signals. Our offered product is quality rich encoders and reliable. Moreover, offered product is provided in number of specifications to choose from. The policy made by our company makes us occupied in providing a quality assured range of Encoder Shaft Dimensional Drawing. Offered product has a fixed housing with rotor wheel which revolves around the shaft and helps in determining speed, positioning. The product offered by us is manufactured under the direction of professionals by using best in class material coupled with leading technology. This product is reliable, strong built and affordable automotive solutions.